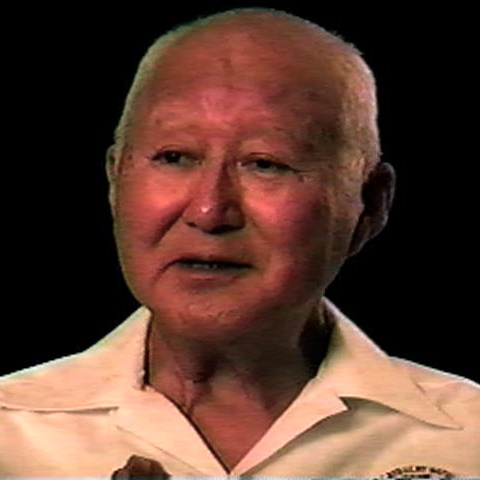 Shiro T. served in the 442nd Regimental Combat Team, a segregated unit for Japanese-Americans, while his family was held in an internment camp in Poston, Arizona during the war. He witnessed the aftermath of the liberation of Dachau. While the 442nd did not enter the camp itself, he describes the remnants of a death march the Germans had ordered the prisoners to undertake. 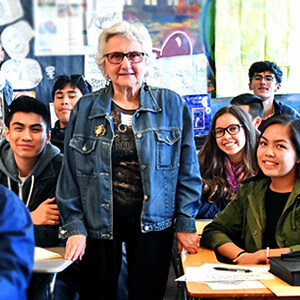 Shiro has spoken to students about his experiences, emphasizing the need to remember the Holocaust and the equality of all people. Shiro describes the scene he witnessed outside of Dachau. See, we really didn’t know what they actually were, we didn’t know it was Dachau or anything at that time until after we went through it. And since we were in combat, we didn’t actually go into the camp itself because we were still chasing the Germans. But it was at that time that the Germans were retreating fairly fast, because they had released a lot of the Jews from the camp, the ones that were able to, that were physically able to walk, they made them leave on a forced march. And the Germans wanted to go real fast because they were retreating all that time. That’s why they shot a lot of the Jewish refugees, and they were strewn on the side of the road. And it was a funny thing because it had snowed in the end of April, and it snowed quite a bit. And a lot of the bodies on the side of the road were covered with snow. And that’s where, especially our forward observers came across these first, because they were miles ahead of us with the infantry. And they’d see these mounds on the side of the road, and they discovered that they were the bodies of the Jewish refugees. Well, some of them were still alive, and they didn’t move because if they did move, they would be shot. So they feigned being dead and just lay there, and they got covered with snow. So by the time we got there some of them had already gotten up and were really in bad shape. Of course, they were in better shape than the ones that were in the camp, yeah, because those, they couldn’t move, and they were in there, still in their barracks. But these were, they were just like skin and bone, mostly starved. And we did what we could for them at the time, because we were still in combat. And we gave them what rations we could, which was wrong, we found out later, but, and then whatever blankets we had we gave to them. And then we kept moving on.